Microsoft has launched six different versions of its newest operating system, Windows 7. Released for general retail availability on 22nd October, 2009, Windows 7 comes less than 3 years subsequent to the release of Windows Vista. However, unlike its predecessor, Windows 7 was created with the intent of being a more focused and incremental upgrade to the Windows series, and not just to add more features to the operating system. Nevertheless, Windows 7 does have a lot of new and exciting features, with each of the Windows 7 versions differing from the other. This Windows version 7 is available pre-installed on new computers. The installation is done either through system integrators, or by the computer manufacturers themselves. The key features include the improved Windows taskbar and jump lists, search, backup, and restore functionalities, the media player, the action center, and the device stage. You can also join a home group. In addition, the home media streaming function is enhanced in this Windows 7 version. Windows 7 Starter also supports application capabilities for up to 3 concurrent programs. The major drawback of this version is that it does not support the 64-bit processor architecture. Also, the Windows Aero theme is not available, and the Visual Style and desktop wallpaper are not user-changeable. However, if you do want to change these, you can do so by using third party software like Stardock MyColors. This version of Windows 7 is pretty much similar to the Windows 7 Starter edition in that most of the features available are common. Some of the additional features include internet connection sharing and fast user switching. You can also create ad hoc wireless networks, and get live thumbnail previews from the taskbar. On the other hand, Windows 7 Home Basic is available only to the emerging markets such as India, Brazil, Bangladesh, China, Thailand, Pakistan, Indonesia, and Philippines. It also has geographical activation restriction which means that users can activate this Windows 7 version only within a specific region or country. This edition is targeted at the home market segment. To this end, it has features like the Windows Aero, Windows Media Center, and touch-screen controls. The application capabilities for this version are unlimited, and you can also create a home group. Additionally, DVD Video playback and authoring options are available. This Windows 7 version is aimed at small business owners and other enthusiasts. Apart from all the Windows 7 Home Premium features, Windows 7 Professional also affords the option of operating as a Remote Desktop server. Plus you have the facility to join a Windows Server domain. Other additional features include location aware printing, group policy controls, advanced backup for network and group policies, and an encrypting file system. 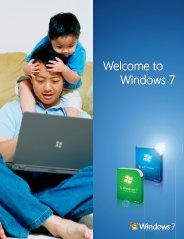 This edition has all the features of the Windows 7 Home Premium as well as additional components like support for UNIX application, Multilingual User Interface language packages, and BitLocker Drive Encryption. Windows 7 Enterprise is designed for the enterprise section of the market, and is not available through OEM or retail channels. It is distributed only through volume licensing to companies that have the Microsoft Software Assurance contract. Hence, it has various benefits specifically for Software Assurance. For instance, Windows 7 Enterprise comes together with a license that allows activation via VLK, and operation of multiple virtual machines. The features of this Windows 7 version are the same as that of Windows 7 Enterprise. The only difference is that while Windows 7 Enterprise is available only through Microsoft Software Assurance channels, Windows 7 Ultimate can be accessed by home users possessing individual licenses. Also, this edition, unlike its predecessor the Windows Vista Ultimate, does not have the Windows Ultimate Extras feature or any other exclusive functionality. 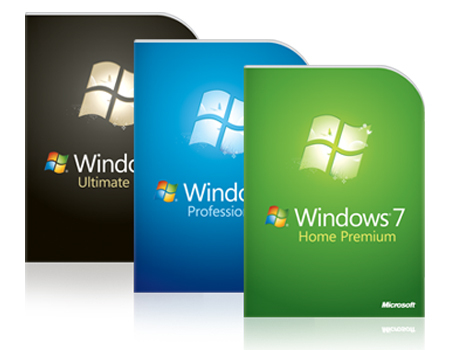 Users of the Windows 7 Home Premium, or the Windows 7 Professional can upgrade to Windows 7 Ultimate by using the Windows Anytime Upgrade. However, there is a fee that needs to be paid for availing this option. All the Windows 7 versions support the 32-bit processor architecture. The 64-bit processor architecture is supported by all versions except the Windows 7 Starter, and the Windows 7 Home Basic. Microsoft distributes one DVD each for the installation process of the two different processor architectures. With the installation media remaining the same for all of the versions with same processor architecture, it is the license that determines activation of features. If you have been using Windows Vista and want to upgrade to Windows 7, all you need to do is get an in-place upgrade. However, you have to make sure that language version, comparable edition, and processor architecture are the same. And to upgrade from Windows XP, you need to do a clean install. What do you think about Windows 7 Versions? Do you have any Windows 7 Versions experiences, ideas, article, story, opinions, errors, problems and tips which you would like to share? Why not take a few moments and Share it with everyone!